Long residence time & flow rates. No circulation pump. Natural Circulation Evaporators are very simple and are normally used where the effluent has a high viscosity, higher levels of hardening agents, un-dissolved solids, for products which are affected by their own high temperatures and longer residual times. The operation could be continuous, batch or semi-batch and do not require pumps for recirculation or intermediate product transfer. 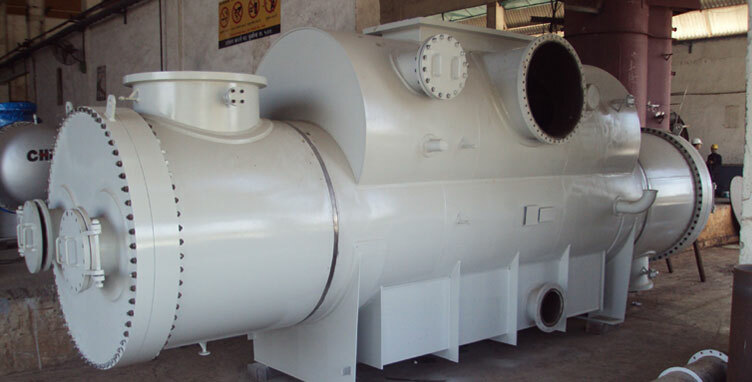 Natural circulation evaporators are based on the natural circulation of the product caused by the density differences that arise from heating. In an evaporator using tubing, after the water begins to boil, bubbles will rise and cause circulation, facilitating the separation of the liquid and the vapor at the top of the heating tubes. 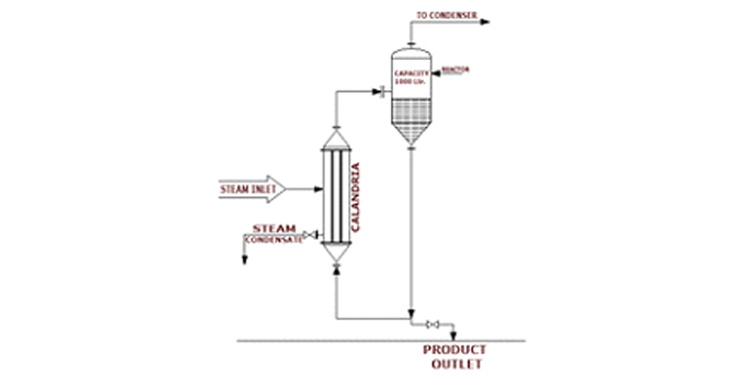 The amount of evaporation that takes place depends on the temperature difference between the steam and the solution. Problems can arise if the tubes are not well-immersed in the solution. If this occurs, the system will be dried out and circulation compromised. In order to avoid this, forced circulation can be used by inserting a pump to increase pressure and circulation.